Once upon a time in the not too distant past, Nokia were considered to be producers of mobile phones which were at the cutting edge of technology. The Finnish company were at the forefront of the smartphone boom and were once the world’s largest vendors of smartphones, an accolade which which seems a million miles away now. Nokia smartphones were historically shipped with the Symbian operating system, and with the emergence of Apple’s iOS and the Google Android operating systems, it was evident to all that something needed to change within Nokia if they were to even attempt to get back to former glories. That change came just over twelve months ago with the announcement of a partnership with Microsoft, meaning that going forward, Nokia smartphones would adopt the Windows Phone platform in the hope that Microsoft’s software and Nokia hardware would form a formidable partnership to rival Apple and Google. It is too early to tell if that plan will come to fruition, but Nokia recently took a baby step on the road to recovery after it was announced recently that were the largest vendors of Windows Phone handsets in Q4 of 2011, which represents a positive step for the company but still pales into insignificance when you consider the 0.9 million units were are talking about. We are getting the news today that Nokia are once again in the business mood with the confirmation that they are about to introduce a new device, the Nokia 808 PureView, which will feature a staggering 41-megapixel camera which is built upon the company’s pixel oversampling technology. 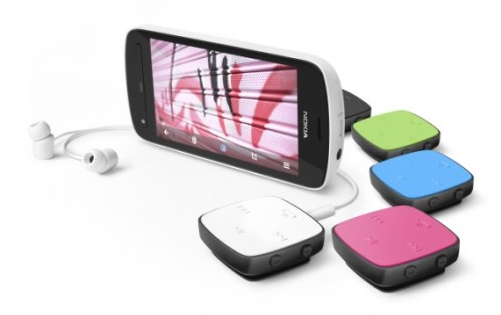 The PureView 808 will take over from the Nokia N8 smartphone and will be running the Symbian operating system, but experts are predicting that this could be the last release from Nokia which is built upon the soon to be faded-out OS, with the company shipping Windows Phone devices. If this is indeed Symbian’s swan song, then what a way to go with a camera capable of taking 41-megapixel photographs and bringing satellite imaging to a smartphone. We’ve been working on this technology for some time, with the intention to mature and commercialise it to take it across our portfolio. We wanted to make the Pureview 808 recognisable as the best smartphone camera device in the world, and our design team have done a great job accomplishing that. The fact that the company has mentioned that the PureView 808 is being launched as "confirming our significant short term investments in Symbian" and with the above statement in mind that it will be taken across the Nokia portfolio, is a definite indication that the staggering imagine technology will soon be seen on Windows Phone devices, something which will encourage users to jump ship from their favored OS and at least give the devices a try. 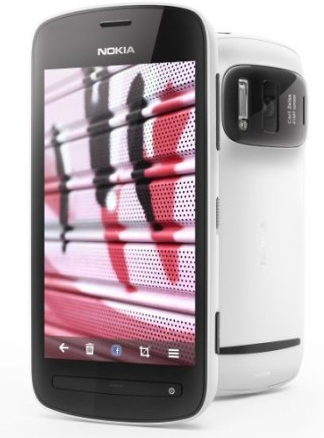 The new technology which will be featured in the PureView smartphone will not only give users the ability to capture images at 41 megapixels, but allows them to zoom, reframe and crop the images, post shooting, which allows access to previously unseen levels of detail, according to a Nokia statement. With full 1080P video playback, lossless zoom and higher quality rich recording, it would seem that the Pureview is definitely here to make a statement and will appeal to photography and media fans who appreciate something that is a little bit different. The smartphone should be available sometime in May of this year with pricing structure yet to be announced.